We are very happy to announce our winning participation to the 2011 edition of this prestigious award. Jean Berard of Mexico was Awarded in the PX3 2011 Competition. 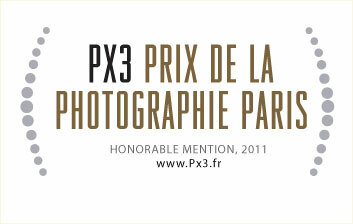 Paris, France Prix de la Photographie Paris (Px3) announces winners of PX3 2011 competition. Jean Berard of Mexico was Awarded in category for the entry entitled, ” Jewelry ” and ” Food Serie “. The jury selected winners from thousands of photography entries from over 85 countries.